When I encounter smelly people, I remember a joke I had read. There's this guy Y, who has a problem of smelly socks. 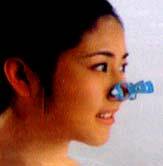 A girl X has a problem of bad-breath & a smelly mouth (especially just after she has woken up). When X and Y get married (without knowing of one another's problems), they are advised by their respective family and friends to take care (& not let one another know of their respective problems!). The next morning, X wakes up to find Y frantically searching all over the bed for something. Actually, Y has lost one of his socks and is desperate to find it before X discovers his smelly sock! Forgetting about her personal problem of smelly mouth, X asks Y, "What happened? What are you looking for?" Y is totally shocked with the foul smell from X's mouth and looks at X in disbelief. Then, Y exclaims, "YOU SWALLOWED MY SOCK!" The reality is we all have to deal with Smelly people & situations. Some people have Halitosis or bad breath due to poor oral-care or other medical reasons. It is pretty smelly when they open their mouth. Solution: I offer them lots of peppermint, clove, other mouth-freshener & chewing-gum! When we were travelling by a long-distance International flight, we had to deal with my kid's smelly sneakers. They were sort of damp out of sweat & as her shoes started smelling awful, I asked her to remove them fearing infection. Then, the smell spread much to my embarrassment. Solution: Had we been at home, the solution would have been a good wash - both for her feet and her shoes- with warm water. Feeling helpless in the flight, I applied some talcum-powder. I regretted not carrying a pair of spare slippers for her. Now it's in my checklist for future travel! The idea to keep our feet dry and get air, not enclosed inside socks or shoes for long. What’s that smell, Boss? AWFUL "HOT-GASES"
The Hindi movies ‘Atithi Tum Kab Jaoge’ (Guest, When will you go?) and '3 Idiots' highlight the same! In Atithi Tum Kab Jaoge, the heroine played by Konkona Sen Sharma uses up innumerable bottles of Deodorants for spraying in their home. The reason is that the uninvited ‘Guest’ played by Paresh Rawal subjects them to foul smells! 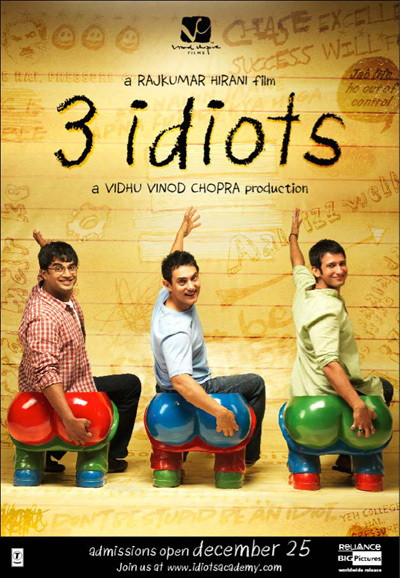 While in 3 Idiots, Omi Vaidya plays the character Chatur, who is also called 'Silencer' & makes everyone "suffer" "harmful hot-gases". When he is blamed for the act, Silencer says "I didn't do it!" and smartly accuses Raju to have committed the same crime! Facing such situations in public places like lifts, air-conditioned (AC) transport etc is fairly common! Solution: If I can't run away from there, I spray perfume or cover my nose with my hanky or Dupatta. Solution: When I encounter such people, I politely remind them about the law. That is enough for them to throw that cigarette away! Having been a Science Student & also having studied Computers, I know that the Smelly Instructors in Laboratories make it worse, as if the Science labs weren't smelly enough! What’s that smell, Boss? MANY REASONS INCLUDING FRAGRANCES! Blaming it to a busy lifestyle simply won't do. Maintaining a good health and hygiene is within everyone's power & ought to be a personal responsibility and daily effort. The problem is that some smelly people don't know that they are smelly! Deodorant, Soap & Talcum-Powder etc TV advertisements have shown us how people go "crazy" and pursue the one who is smelling good! They claim we can get our own fan-following within seconds of using them! Just like the Pied Pier of Hamlin did, we too can attract & make creatures follow us! As if earthly fans weren't enough, one of the ads even had the angels dropping from Heaven! Just imagine if this were true and everyone started using the same Deodorant! Some years ago, while in the USA, I read a news-article that stated that people in a local train were suffocated as all the passengers had sprayed benevolent amounts of Deodorants & perfumes. Enclosed AC-coaches became smelly chambers that caused nausea and vomiting... When people don't take bath & resort to such tactics in the morning, this is the sorry outcome. In my hostel in Delhi, there were people who "didn't have time to take bath" or "didn't dare to take bath in the cold-water" (as that was the coldest winter in Delhi in decades). The result was that some of them just changed into a fresh T-shirt, while others confidently repeated the previous day's T-shirt (as the water was too cold even to wash clothes!)! What was common to both these categories of females was that they sprayed good amounts of Deo & thought they smelled like 'Goddess/Garden of Passion' or similar such imaginative names on the Sprays! Too much of anything isn't good, though a rage! No fragrant & expensive perfumes can salvage! I always carry my Perfume-Spray ready as my defense from such terror-attacks! But, it is rude to spray perfume on the offending people! Then, I do all what I have mentioned as the Solutions above. No, I don't put a nose clip on my poor nose! Nor do I wear a gas-mask! Mostly I practice non-breathing tactics! I control my senses & beat the awful experience. Establishing records, holding my breath longer! Will someday make sense & be of help immense! With constant practice, I'm confident, not shy! For a Guinness World Record I should try! But, taking bath in cold water early in a cold-morning is tough! It is a HUGE challenge and brave endeavour & not many are game for it! Also, even if we have the courage to subject our body to cold-water, bathroom-singing gets severely affected by cold-water! We all have experienced this during city-winter mornings & during our visits to hill-stations! When I had visited Badrinath, I tried to brush my teeth in the cold-water... My teeth were chattering & I was shivering! Unlike actress Vidya Balan's character in the Hindi-movie- Kahaani, I didn't have the privilege in Badrinath to call for 'Bishnu' to serve as my 'running hot-water'! In the movie Kahaani, Bishnu is a small boy, who does odd-jobs for the Guest House's guests- e.g. supplying hot-water for bath by running up the stairs carrying hot-water-kettles for them! What’s that smell, Boss? CHINTA-TA-CHITA-CHITA! Then, there is this fatal smelly kind of people who spread deadly negative smells that make us forget even the latest Bollywood-song's lyrics! Such people spread agony by spreading the smells of CHINTA i.e. Worry. I feel such Stress & Depression is terrible and is akin to CHITA i.e. Pyre. a stress-free life (for them and for us!)! Let them discover a fresh new happy & relaxed person! Every morning and/or at night, it's rejuvenating! A hot water bath can energize & make us feel cool! No more smelly, rather fresh, fragrant & youthful! Try it to feel it! Running hot-water helps! I shared how I have dealt with Smelly people! btw I too take a dig at stinking socks. Stinking socks are a major concern! Indiblogger can always bank upon you to come up with something ribticklingly funny with a good dose of Bollywood. Thanks Seeta. Glad you liked it! Sometimes, it becomes imperative to directly mention rather than provide subtle hints. A person of authority can do so without making the offender feel terrible! Yes, too much of anything is bad! Thanks Anuja for your appreciation :) Delighted that you liked it! I still smile when I think of that joke! Glad you liked it! As usual a really good post with a good dose of Bollywood. All the best for the contest Anita. Thanks Preethi for your appreciation & wishes :) Love your support! Thanks Naba for your wishes & kind words! Glad you liked! Best wishes to you too! Thanks Indrani! May we have less smelly incidents :) Best wishes to you too! Thanks Sri for your awesome wishes & words! Delighted that it gave you reason to LOL! You have done a lot of research about this smelling subject! Very good! Thanks. Thanks for your comment about managing nature . We will never be able to manage it. Thanks for stopping by & sharing, Rakesh. We all have such smelly stories & memories! Thoroughly enjoyed reading your post! :D Could relate to this post on so many levels! Ha ha ha!Awesome post Anita! I loved the joke you started with. Also, your non breathing tactics part is so amusing. A 10 on 10 complete post. Great! Wow, you have covered it all! The best part is suggesting a solution to tackle each source of foul smell. Great!!! Welcome to my Blog, Anuradha! Thanks Faridaji for such a candid & hearty comment :) My effort feels worth with such nice words! Thanks Neeraj. I guess you are referring to my Post being the Top Post on IndiBlogger. Thanks for your appreciation & wishes.